In this unique camp, teens will create their own limited-edition prints on our professional presses! Teens will learn various techniques, styles, and tools of the printmaking trade through demonstrations and hands-on practice. 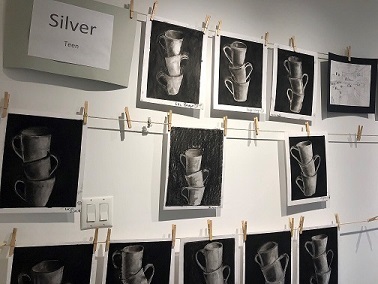 This camp will cover techniques, including plexi-glass etching and mono-printing, as teens create original prints that are either one-of-a-kind or editionable! This camp is perfect for the teen looking to develop the foundational skills of drawing and painting.Teens will exercise their observational skills and gain familiarity with diverse media (such as graphite, charcoal, acrylics, and watercolors) through drawing exercises that may include gesture drawings, blind contours, and contour drawing exercises. Linear perspective, color theory, and building form with light and shadow will also be covered as teens render their artistic creations.